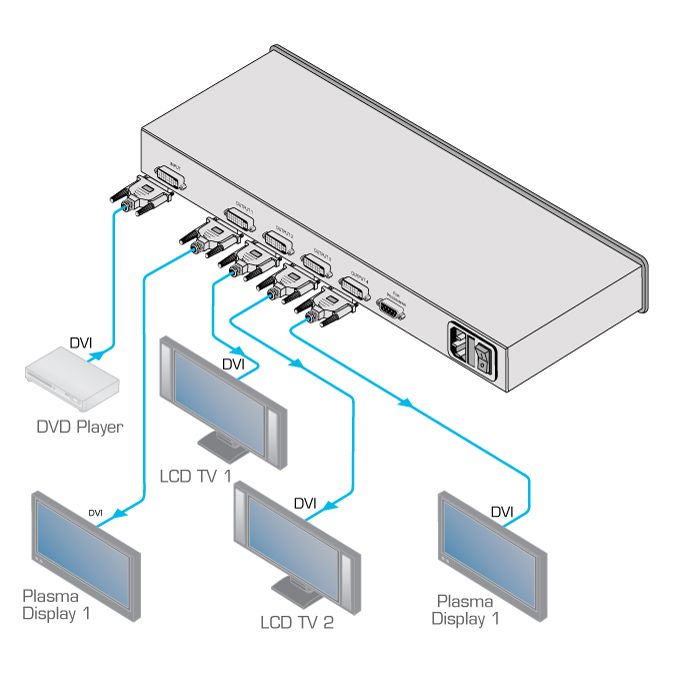 The VM-4HDCPxl is a high-performance distribution amplifier for DVI signals. The unit reclocks and equalizes one input signal and distributes it to four identical outputs. Max. Resolution - Up to UXGA & 1080p.